Democrats on Capitol Hill are launching new efforts to prevent Russians and other foreigners outside the U.S. from using social media to interfere in future American elections. House and Senate Democrats sent a letter to the Federal Election Commission on Wednesday asking them to consider new rules that would prevent foreigners from using online advertising platforms like Facebook and Twitter to influence voters. "We encourage the Federal Election Commission to take immediate steps to understand the threats posed to our democratic process by foreign influenced internet and social media advertisement, and to promulgate new guidance on how advertisement platforms can better prevent foreign nationals from illicitly spending in future U.S. elections," the letter states. 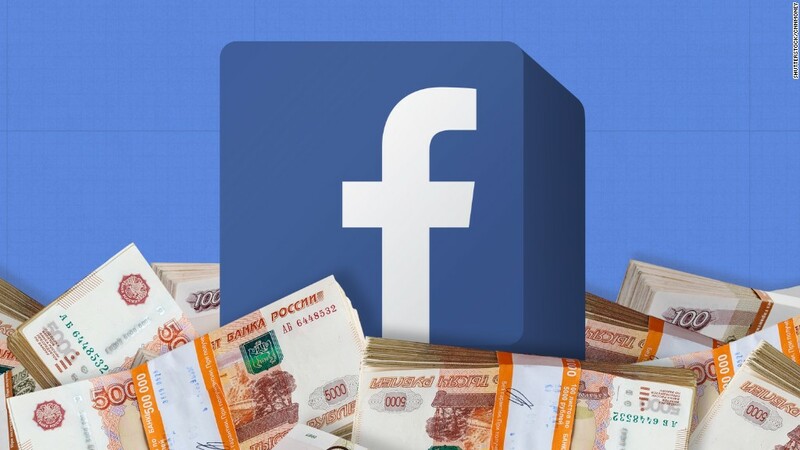 The efforts come two weeks after Facebook informed Congress that it had sold more than 3,000 ads to accounts linked to a Russian troll farm between June 2015 and May 2017. In response to a search warrant, Facebook has handed over copies of the ads and information about the relevant accounts to Special Counsel Robert Mueller, who is conducting an investigation into Russian meddling in the 2016 election. Rep. John Sarbanes, the chair of the Democracy Reform Task Force, an initiative of House Democrats, told CNN the letter represented "an opportunity for the FEC to step up and show what it's made of, to show its mettle." "This could be its finest hour to respond this threat to American democracy," Sarbanes said. Sarbanes and his fellow signatories have asked for the FEC to respond to the letter by October 4. But with three Republicans, one Independent and one Democrat on the commission, it's unclear what steps the FEC will take. The letter was signed by Senators Martin Heinrich, Ron Wyden, Tom Udall, Elizabeth Warren, Maggie Hassan, Ben Cardin, Al Franken, Jack Reed, Ed Markey, Chris Van Hollen, Sherrod Brown, Cory Booker, Bob Menendez, Catherine Cortez Masto, Sheldon Whitehouse and Kamala Harris and by Representatives Sarbanes, John Conyers, Elijah Cummings and Derek Kilmer. There are no Republican signatories on the letter. Sen. Mark Warner's office is also looking at crafting legislation that would require disclaimers on who paid for advertisements, Rachel Cohen, one of his spokespeople, told CNN. Facebook sources who spoke on the condition of anonymity said they anticipate that Congress will seek requirements for disclaimers on online political ads. Such disclaimers would identify the account that purchased any given ad, similar to political ads on television. The sources said they were not terribly concerned about disclaimer regulations, given that it is already standard for television and radio. Political ad buyers are already expressing concerns that such requirements would not go far enough given the myriad ways of advertising on social media. "The problem with the FEC and potential regulation talk from members of Congress is that they aren't going far enough and it seems like they're taking a TV filter and applying it to ad spends on digital," Chris Nolan, a Democratic political ad executive, told Axios on Tuesday.